The DSC EV-DW4927SS is a wireless shock sensor that also doubles as a door and window contact. The device is used to monitor for forced entry into doors or windows. The device operates at 433 MHz for DSC Impassa and PowerSeries Systems. 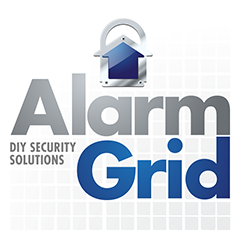 Purchase the EV-DW4927 from Alarm Grid. The DSC EV-DW4927SS is a wireless shock sensor with an internal reed switch. The shock sensor is used for monitoring doors and windows for forced entry. The reed switch allows the device to be used a standard door and window contact by using the magnet that comes included with the device. When an intruder breaks into a building, they might not just simply open a door or a window. They might break down a door or smash a window to gain entry. When this is done, they might avoid activating a standard contact. However, a shock sensor can detect the associated vibrations and alert the system when this occurs. The adjustable sensitivity allows users to program the sensor so that it is less likely to cause any false alarms. When the device is used as a door or window contact, a separate magnet will need to be used. The sensor will go on the door or window frame, and the magnet will be placed on the door or window itself. When the door or window is opened, the magnet will become separated from the sensor. This will cause the reed switch inside the sensor to activate. When this happens, the sensor will send an alert to the system to perform the programmed response. For best results, the magnet should be placed within 5/8" of the sensor when the door or window is closed. Both the shock sensor and the contact functions of the EV-DW4927SS will need to be programmed to their own separate zones on the wireless system. Both functions have their own unique serial number for the device. A case tamper switch on the device will alert the system if anyone ever tries to open up or disable the sensor. The device operates using a CR123A lithium battery, and it has an average life-span of 5 to 8 years. The EV-DW49277SS operates at 433 MHz, and it will work with any DSC Impassa System and most DSC PowerSeries Systems.